By the end of the first decade of the 20th century, the major European powers were divided between the Triple Entente and the Triple Alliance. The Entente was made up of France, the United Kingdom and Russia. The Triple Alliance was originally composed of Germany, Austria-Hungary and Italy, which remained neutral in 1914. As the war progressed, each coalition added new members. Japan joined the Entente in 1914. After proclaiming its neutrality at the beginning of the war, Italy also joined the Entente in 1915. The United States joined as an "associated power" rather than an official ally. 'Associated members' included Serbia, Belgium, Greece, Montenegro and Romania. When the war began in 1914, the Central Powers were opposed by the Triple Entente, formed in 1907 by the British Empire, the Russian Empire and the French Third Republic. Fighting commenced when Austria invaded Serbia on 28 July 1914, purportedly in response to the assassination of Archduke Franz Ferdinand, heir to Emperor Franz Joseph; this brought Serbia's ally Montenegro into the war on 8 August and it attacked the Austrian naval base at Cattaro, modern Kotor. At the same time, German troops entered neutral Belgium and Luxembourg as dictated by the Schlieffen Plan; over 95% of Belgium was occupied but the Belgian Army held their lines on the Yser Front throughout the war. This allowed Belgium to be treated as an Ally, in contrast to Luxembourg which retained control over domestic affairs but was occupied by the German military. In the East, between 7–9 August the Russians entered German East Prussia on 7 August, Austrian Eastern Galicia. Japan joined the Entente by declaring war on Germany on 23 August, then Austria on 25 August. On 2 September, Japanese forces surrounded the German Treaty Port of Tsingtao (now Qingdao) in China and occupied German colonies in the Pacific, including the Mariana, Caroline, and Marshall Islands. Despite its membership of the Triple Alliance, Italy remained neutral until 23 May 1915 when it joined the Entente, declaring war on Austria but not Germany. On 17 January 1916, Montenegro capitulated and left the Entente; this was offset when Germany declared war on Portugal in March 1916, while Romania commenced hostilities against Austria on 27 August. On 6 April 1917, the United States entered the war as a co-belligerent, along with the associated allies of Liberia, Siam and Greece. After the 1917 October Revolution, Russia left the Entente and agreed to a separate peace with the Central Powers with the signing of the Treaty of Brest-Litovsk on 3 March 1918. Romania was forced to do the same in the May 1918 Treaty of Bucharest but on 10 November, it repudiated the Treaty and once more declared war on the Central Powers. These changes meant the Allies who negotiated the Treaty of Versailles in 1919 included France, Britain, Italy, Japan and the US; Part One of the Treaty agreed to the establishment of the League of Nations on 25 January 1919. This came into being on 16 January 1920 with Britain, France, Italy and Japan as permanent members of the Executive Council; the US Senate voted against ratification of the Treaty of Versailles on 19 March, thus preventing American participation. For much of the 19th century, Britain sought to maintain the European balance of power without formal alliances, a policy known as splendid isolation. This left it dangerously exposed as Europe divided into opposing power blocs and the 1895-1905 Conservative government negotiated first the 1902 Anglo-Japanese Alliance, then the 1904 Entente Cordiale with France. The first tangible result of this shift was British support for France against Germany in the 1905 Moroccan Crisis. The 1905-1915 Liberal government continued this re-alignment with the 1907 Anglo-Russian Convention. Like the Anglo-Japanese and Entente agreements, it focused on settling colonial disputes but by doing so paved the way for wider co-operation and allowed Britain to refocus resources in response to German naval expansion. Since control of Belgium allowed an opponent to threaten invasion or blockade British trade, preventing it was a long-standing British strategic interest. [d] Under Article VII of the 1839 Treaty of London, Britain guaranteed Belgian neutrality against aggression by any other state, by force if required. Chancellor Bethmann Hollweg later dismissed this as a 'scrap of paper,' but British law officers routinely confirmed it as a binding legal obligation and its importance was well understood by Germany. The 1911 Agadir Crisis led to secret discussions between France and Britain in case of war with Germany. 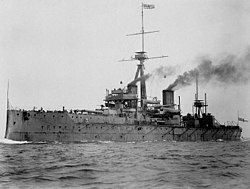 These agreed that within two weeks of its outbreak, a British Expeditionary Force of 100,000 men would be landed in France; in addition, the Royal Navy would be responsible for the North Sea, the Channel and protecting Northern France, with the French navy concentrated in the Mediterranean. Britain was committed to support France in a war against Germany but this was not widely understood outside government or the upper ranks of the military. 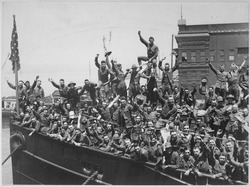 As late as 1 August, a clear majority of the Liberal government and its supporters wanted to stay out of the war. While Liberal leaders Herbert Asquith and Edward Grey considered Britain legally and morally committed to support France regardless, waiting until Germany triggered the 1839 Treaty provided the best chance of preserving Liberal party unity. The German high command was aware entering Belgium would lead to British intervention but decided the risk was acceptable; they expected a short war while their ambassador in London claimed troubles in Ireland would prevent Britain from assisting France. On 3 August, Germany demanded unimpeded progress through any part of Belgium and when this was refused, invaded early on the morning of 4 August. This changed the situation; the invasion of Belgium consolidated political and public support for the war by presenting what appeared to be a simple moral and strategic choice. The Belgians asked for assistance under the 1839 Treaty and in response, Britain declared war on Germany on 4 August 1914. 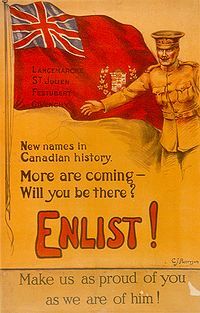 Although Germany's violation of Belgium neutrality was not the only cause of British entry into the war, it was used extensively in government propaganda at home and abroad to make the case for British intervention. This confusion arguably persists today. The declaration of war automatically involved all dominions and colonies and protectorates of the British Empire, many of whom made significant contributions to the Allied war effort, both in the provision of troops and civilian labourers. It was split into Crown Colonies administered by the Colonial Office in London, such as Nigeria, [e] and the self-governing Dominions of Canada, Newfoundland, New Zealand, Australia and South Africa. These controlled their own domestic policies and military expenditure but not foreign policy. In terms of population, the largest component (after Britain herself) was the British Raj or British India, which included modern India, Pakistan, Myanmar and Bangladesh. Unlike other colonies which came under the Colonial Office, it was governed directly by the India Office or by princes loyal to the British; it also controlled British interests in the Persian Gulf, such as the Trucial States and Oman. 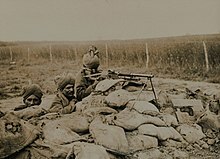 Over one million soldiers of the British Indian Army served in different theatres of the war, primarily France and the Middle East. From 1914-1916, overall Imperial diplomatic, political and military strategy was controlled by the British War Cabinet in London; in 1917 it was superseded by the Imperial War Cabinet, which included representatives from the Dominions. Under the War Cabinet were the Chief of the Imperial General Staff or CIGS, responsible for all Imperial ground forces, and the Admiralty that did the same for the Royal Navy. Theatre commanders like Douglas Haig on the Western Front or Edmund Allenby in Palestine then reported to the CIGS. After the Indian Army, the largest individual units were the Australian Corps and Canadian Corps in France, which by 1918 were commanded by their own generals, John Monash and Arthur Currie. Contingents from South Africa, New Zealand and Newfoundland served in theatres including France, Gallipoli, German East Africa and the Middle East. Australian troops separately occupied German New Guinea, with the South Africans doing the same in German South West Africa; this resulted in the Maritz rebellion by former Boers, which was quickly suppressed. After the war, New Guinea and South-West Africa became Protectorates, held until 1975 and 1990 respectively. 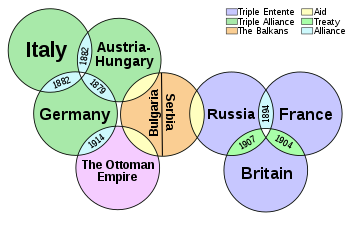 Between 1873-1887, Russia was allied with Germany and Austria-Hungary in the League of the Three Emperors, then with Germany in the 1887-1890 Reinsurance Treaty; both collapsed due to the competing interests of Austria and Russia in the Balkans. While France took advantage of this to agree the 1894 Franco-Russian Alliance, Britain viewed Russia with deep suspicion; in 1800, over 3,000 kilometres separated the Russian Empire and British India, by 1902, it was 30 km in some areas. This threatened to bring the two into direct conflict, as did the long-held Russian objective of gaining control of the Bosporus Straits and with it access to the British-dominated Mediterranean Sea. Defeat in the 1905 Russo-Japanese War and Britain's isolation during the 1899-1902 Second Boer War led both parties to seek allies. The Anglo-Russian Convention of 1907 settled disputes in Asia and allowed the establishment of the Triple Entente with France, which at this stage was largely informal. In 1908, Austria annexed the former Ottoman province of Bosnia and Herzegovina; Russia responded by creating the Balkan League in order to prevent further Austrian expansion. In the 1912-1913 First Balkan War, Serbia, Bulgaria and Greece captured most of the remaining Ottoman possessions in Europe; disputes over the division of these resulted in the Second Balkan War, in which Bulgaria was comprehensively defeated by its former allies. Russia's industrial base and railway network had significantly improved since 1905, although from a relatively low base; in 1913, Tsar Nicholas approved an increase in the Russian Army of over 500,000 men. Although there was no formal alliance between Russia and Serbia, their close bilateral links provided Russia with a route into the crumbling Ottoman Empire, where Germany also had significant interests. Combined with the increase in Russian military strength, both Austria and Germany felt threatened by Serbian expansion; when Austria invaded Serbia on 28 July 1914, Russian Foreign Minister Sergey Sazonov viewed it as an Austro-German conspiracy to end Russian influence in the Balkans. In addition to its own territory, Russia viewed itself as the defender of its fellow Slavs and on 30 July, mobilised in support of Serbia. 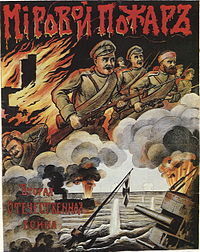 In response, Germany declared war on Russia on 1 August, followed by Austria-Hungary on 6th; after Ottoman warships bombarded Odessa in late October, the Entente declared war on the Ottoman Empire in November 1914. French bayonet charge, 1914; huge casualties in the early months of the war had to be replaced by French colonial troops. French defeat in the 1870-1871 Franco-Prussian War led to the loss of the two provinces of Alsace-Lorraine and the establishment of the Third Republic. The suppression of the Paris Commune by the new regime caused deep political divisions and led to a series of bitter political struggles, such as the Dreyfus affair. As a result, aggressive nationalism or Revanchism was one of the few areas to unite the French. The loss of Alsace-Lorraine deprived France of its natural defence line on the Rhine, while it was weaker demographically than Germany, whose 1911 population was 64.9 million to 39.6 in France, which had the lowest birthrate in Europe. This meant that despite their very different political systems, when Germany allowed the Reinsurance Treaty to lapse, France seized the opportunity to agree the 1894 Franco-Russian Alliance. It also replaced Germany as the primary source of financing for Russian industry and the expansion of its railway network, particularly in border areas with Germany and Austria-Hungary. However, Russian defeat in the 1904-1905 Russo-Japanese War damaged its credibility, while Britain's isolation during the Second Boer War meant both countries sought additional allies. This resulted in the 1904 Entente Cordiale with Britain; like the 1907 Anglo-Russian Convention, for domestic British consumption it focused on settling colonial disputes but led to informal co-operation in other areas. By 1914, both the British army and Royal Navy were committed to support France in the event of war with Germany but even in the British government, very few were aware of the extent of these commitments. 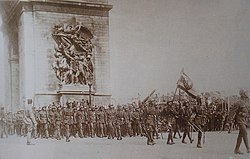 In response to Germany's declaration of war on Russia, France issued a general mobilization in expectation of war on 2 August and on 3 August, Germany also declared war on France. Germany's ultimatum to Belgium brought Britain into the war on 4 August, although France did not declare war on Austria-Hungary until 12 August. As with Britain, France's colonies also became part of the war; pre-1914, French soldiers and politicians advocated using French African recruits to help compensate for France's demographic weakness. From August to December 1914, the French lost nearly 300,000 dead on the Western Front, more than Britain suffered in the whole of WWII and the gaps were partly filled by colonial troops, over 500,000 of whom served on the Western Front over the period 1914-1918. 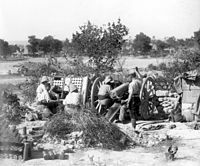 Colonial troops also fought at Gallipoli, occupied Togo and Kamerun in West Africa and had a minor role in the Middle East, where France was the traditional protector of Christians in the Ottoman provinces of Syria, Palestine and Lebanon. Prior to the Meiji Restoration in 1868, Japan was a semi-feudal, largely agrarian state with few natural resources and limited technology. By 1914, it had transformed itself into a modern industrial state, with a powerful military; by defeating China in the First Sino-Japanese War in 1894-1895, it established itself as the primary power in East Asia and colonized the then-unified Korea and Formosa, now modern Taiwan. Concerned by Russian expansion in Korea and Manchuria, Britain and Japan signed the Anglo-Japanese Alliance on 30 January 1902, agreeing if either were attacked by a third party, the other would remain neutral and if attacked by two or more opponents, the other would come to its aid. This meant Japan could rely on British support in a war with Russia, if either France or Germany, which also had interests in China, decided to join them. This gave Japan the reassurance needed to take on Russia in the 1905 Russo-Japanese War; victory established Japan in the Chinese province of Manchuria. The Japanese carrier Wakamiya conducted the first ship-launched aerial attack in 1914. With Japan as an ally in the Far East, John Fisher, First Sea Lord from 1904-1910, was able to refocus British naval resources in the North Sea to counter the threat from the Imperial German Navy. The Alliance was renewed in 1911; in 1914, Japan joined the Entente in return for German territories in the Pacific, greatly annoying the Australian government which also wanted them. On 7 August, Britain officially asked for assistance in destroying German naval units in China and Japan formally declared war on Germany on 23 August, followed by Austria-Hungary on 25th. On 2 September 1914, Japanese forces surrounded the German Treaty Port of Qingdao, then known as Tsingtao, which surrendered on 7 November. The Imperial Japanese Navy simultaneously occupied German colonies in the Mariana, Caroline, and Marshall Islands, while in 1917, a Japanese naval squadron was sent to support the Allies in the Mediterranean. Japan's primary interest was in China and in January 1915, the Chinese government was presented with a secret ultimatum of Twenty-One Demands, demanding extensive economic and political concessions. While these were eventually modified, the result was a surge of anti-Japanese nationalism in China and an economic boycott of Japanese goods. In addition, the other Allies now saw Japan as a threat, rather than a partner, lead to tensions first with Russia, then the US after it entered the war in April 1917. Despite protests from the other Allies, after the war Japan refused to return Qingdao and the province of Shandong to China. The 1882 Triple Alliance between Germany, Austria-Hungary and Italy was renewed at regular intervals, but was compromised by conflicting objectives between Italy and Austria in the Adriatic and Aegean seas. Italian nationalists referred to Austrian-held Trieste and South Tyrol as 'the lost territories,' making the Alliance so controversial that the terms were kept secret until it expired in 1915. Alberto Pollio, the pro-Austrian Chief of Staff of the Italian Army died on 1 July 1914, taking many of the prospects for Italian support with him. The Italian Prime Minister Antonio Salandra argued that as the Alliance was defensive in nature, Austria's aggression against Serbia and Italy's exclusion from the decision-making process meant it was not obliged to join them. His caution was understandable because France and Britain either supplied or controlled the import of most of Italy's raw materials, including 90% of its coal. Salandra described the process of choosing a side as 'sacred egoism,' but as the war was expected to end before mid-1915 at the latest, making this decision became increasingly urgent. In line with Italy's obligations under the Triple Alliance, the bulk of the army was concentrated on Italy's border with France; in October, Pollio's replacement, General Luigi Cadorna, was ordered to begin moving these troops to the North-Eastern one with Austria. Under the April 1915 Treaty of London, Italy agreed to join the Entente in return for Italian-populated territories of Austria-Hungary and other concessions; in return, it declared war on Austria-Hungary in May 1915 as required, although not on Germany until 1916. Italian resentment at the difference between the promises of 1915 and the actual results of the 1919 Treaty of Versailles would be powerful factors in the rise of Mussolini. In 1817, the Principality of Serbia became an autonomous province within the Ottoman Empire; with Russian support, it gained full independence after the 1877-1878 Russo-Turkish War. Many Serbs viewed Russia as protector of the South Slavs in general but also specifically against Bulgaria, where Russian objectives increasingly collided with Bulgarian nationalism. When Austria annexed Bosnia and Herzegovina in 1908, Russia responded by creating the Balkan League to prevent further Austrian expansion. Austria viewed Serbia with hostility partly due to its links with Russia, whose claim to be the protector of South Slavs extended to those within the Austro-Hungarian empire, such as the Czechs and Slovaks. Serbia also potentially gave Russia the ability to achieve their long-held objective of capturing Constantinople and the Dardanelles. Austria backed the Albanian revolt of 1910 and the idea of a Greater Albania, since this would prevent Serbian access to the Austrian-controlled Adriatic Sea. 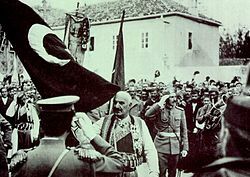 Another Albanian revolt in 1912 exposed the weakness of the Ottoman Empire and led to the 1912-1913 First Balkan War, with Serbia, Montenegro, Bulgaria and Greece capturing most of the remaining Ottoman possessions in Europe. Disputes over the division of these resulted in the Second Balkan War, in which Bulgaria was comprehensively defeated by its former allies. As a result of the 1913 Treaty of Bucharest, Serbia increased its territory by 100% and its population by 64%. However, it now faced a hostile Austria-Hungary, a resentful Bulgaria and opposition by Albanian nationalists. Germany too had ambitions in the Ottoman Empire, the centrepiece being the planned Berlin–Baghdad railway, with Serbia the only section not controlled by a pro-German state. The exact role played by Serbian officials in the assassination of Archduke Franz Ferdinand is still debated but despite complying with most of their demands, Austria-Hungary invaded on 28 July 1914. While Serbia successfully repulsed the Austro-Hungarian army in 1914, it was exhausted by the two Balkan Wars and unable to replace its losses of men and equipment. In 1915, Bulgaria joined the Central Powers and by the end of the year, a combined Bulgar-Austrian-German army occupied most of Serbia. Between 1914-1918, Serbia suffered the greatest proportional losses of any combatant, with over 25% of all those mobilised becoming casualties; including civilians and deaths from disease, over 1.2 million died, nearly 30% of the entire population. In 1830, the southern provinces of the Netherlands broke away to form the Kingdom of Belgium and their independence was confirmed by the 1839 Treaty of London. Article VII of the Treaty required Belgium to remain perpetually neutral and committed Austria, France, Germany and Russia to guarantee that against aggression by any other state, including the signatories. While the French and German militaries accepted Germany would almost certainly violate Belgian neutrality in the event of war, the extent of that was unclear. The original Schlieffen Plan only required a limited incursion into the Belgian Ardennes, rather than a full-scale invasion; in September 1911, the Belgian Foreign Minister told a British Embassy official they would not call for assistance if the Germans limited themselves to that. While neither Britain or France could allow Germany to occupy Belgium unopposed, a Belgian refusal to ask for help would complicate matters for the British Liberal government, which contained a significant isolationist element. However, the key German objective was to avoid war on two fronts; France had to be defeated before Russia could fully mobilise and give time for German forces to be transferred to the East. 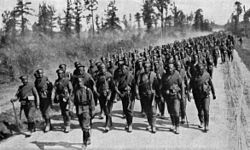 The growth of the Russian railway network and increase in speed of mobilisation made rapid victory over France even more important; to accommodate the additional 170,000 troops approved by the 1913 Army Bill, the 'incursion' now became a full-scale invasion. The Germans accepted the risk of British intervention; in common with most of Europe, they expected it to be a short war while their London Ambassador claimed civil war in Ireland would prevent Britain from assisting its Entente partners. On 3 August, a German ultimatum demanded unimpeded progress through any part of Belgium, which was refused. Early on the morning of 4 August, the Germans invaded and the Belgian government called for British assistance under the 1839 Treaty; by the end of 1914, over 95% of the country was occupied but the Belgian Army held their lines on the Yser Front throughout the war. 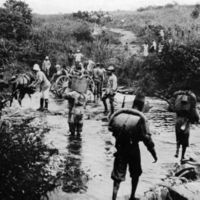 In the Belgian Congo, 25,000 Congolese troops plus an estimated 260,000 porters joined British forces in the 1916 East African Campaign. By 1917, they controlled the western part of German East Africa which would become the Belgian League of Nations Mandate of Ruanda-Urundi or modern-day Rwanda and Burundi. Brazil entered the war in 1917 after the United States intervened on the basis of Germany's unrestricted submarine warfare sinking its merchant ships, which Brazil also cited as a reason to enter the war fighting against Germany and the Central Powers. The First Brazilian Republic sent the Naval Division in War Operations that joined the British fleet in Gibraltar and made the first Brazilian naval effort in international waters. In compliance with the commitments made at the Inter-American Conference, held in Paris from 20 November to 3 December 1917, the Brazilian Government sent a medical mission composed of civilian and military surgeons to work in field hospitals of the European theater, a contingent of sergeants and officers to serve with the French army; Airmen from the Army and Navy to join the Royal Air Force, and the employment of part of the Fleet, primarily in the anti-submarine war. Greece almost doubled in size as a result of the Balkan Wars of 1912 and 1913, but success masked deep divisions within the political elite. In 1908, the island of Crete, formally part of the Ottoman Empire but administered by Greek officials, declared union with Greece, led by the charismatic nationalist Eleftherios Venizelos. A year later, young army officers formed the Military League to advocate for an aggressive and expansionist foreign policy; with their backing, Venizelos won a majority in the 1910 Parliamentary elections, followed by another in 1912. He had effectively broken the power of the pre-1910 political class and his position was then further strengthened by success in the Balkan Wars. In 1913, the Greek monarch George I was assassinated; he was succeeded by his son Constantine who had attended Heidelberg University, served in a Prussian regiment and married Sophia of Prussia, sister of Emperor William II. These links and a belief the Central Powers would win the war combined to make Constantine pro-German. Venizelos himself favoured the Entente, partly due to their ability to block the maritime trade routes required for Greek imports. Colonel Christodoulou of the National Defence Army Corps interrogates Bulgarian prisoners, September 1918. Other issues adding complexity to this decision included disputes with Bulgaria and Serbia over the regions of Thrace and Macedonia as well as control of the Aegean Islands. Greece captured most of the islands during the Balkan Wars but Italy occupied the Dodecanese in 1912 and was in no hurry to give them back, while the Ottomans demanded the return of many others. In general, the Triple Entente favoured Greece, the Triple Alliance backed the Ottomans; Greece ultimately gained the vast majority but Italy did not cede the Dodecanese until 1947, while others remain disputed even today. As a result, Greece initially remained neutral but in March 1915, the Entente offered concessions to join the Dardanelles campaign. Arguments over whether to accept led to the National Schism, with an Entente-backed administration under Venizelos in Crete, and a Royalist one led by Constantine in Athens that supported the Central Powers. In September 1915, Bulgaria joined the Central Powers; in October, Venizelos allowed Entente forces to land at Thessaloniki or Salonica to support the Serbs, although they were too late to prevent their defeat. In August 1916, Bulgarian troops advanced into Greek-held Macedonia and Constantine ordered the army not to resist; anger at this led to a coup and he was eventually forced into exile in June 1917. A new national government under Venizelos joined the Entente, while the Greek National Defence Army Corps fought with the Allies on the Macedonian Front. Nicholas accepts the surrender of Scutari, April 1913; Montenegro's major gain from the Balkan War, it was relinquished several months later. Unlike Serbia, with whom it shared close cultural and political connections, the Kingdom of Montenegro gained little from its participation in the 1912-1913 Balkan Wars. The main Montenegrin offensive was in Ottoman-controlled Albania, where it suffered heavy losses during the seven month Siege of Scutari. Austria-Hungary opposed Serb or Montenegrin control of Albania, since it provided access to the Adriatic Sea; despite Scutari's surrender, Montenegro was forced to relinquish it by the 1913 Treaty of London and it became capital of the short-lived Principality of Albania. This was largely an Austrian creation; the new ruler, William, Prince of Albania, was a German who was forced into exile in September, only seven months after taking up his new position and later served with the Austrian army. In addition to the lack of substantive gains from the Balkan Wars, there were long-running internal divisions between those who like Nicholas I preferred an independent Montenegro and those who advocated union with Serbia. In July 1914, Montenegro was not only militarily and economically exhausted, but also faced a multitude of political, economic and social issues. At meetings held in March 1914, Austria-Hungary and Germany agreed union with Serbia must be prevented; Montenegro could either remain independent or be divided, its coastal areas becoming part of Albania, while the rest could join Serbia. Nicholas seriously considered neutrality as a way to preserve his dynasty and on 31 July notified the Russian Ambassador Montenegro would only respond to an Austrian attack. He also held discussions with Austria, proposing neutrality or even active support in return for territorial concessions in Albania. However, close links between the Serbian and Montenegrin militaries as well as popular sentiment meant there was little support for remaining neutral, especially after Russia joined the war; on 1 August, the National Assembly declared war on Austria-Hungary in fulfilment of its obligations to Serbia. 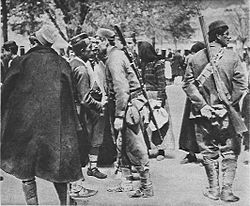 After some initial success, in January 1916, the Montenegrin Army was forced to surrender to an Austro-Hungarian force. Equal status with the main Allied Powers was one of the primary conditions for Romania's entry into the War. The Powers officially recognized this status through the 1916 Treaty of Bucharest. Romania fought on 3 of the 4 European Fronts: Eastern, Balkan and Italian, fielding in total over 1,200,000 troops. Romania's entry into the War in August 1916 provoked major changes for the Germans. 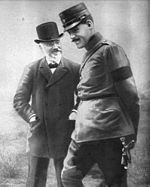 General Erich von Falkenhayn was dismissed and sent to command the Central Powers forces in Romania, which enabled Hindenburg's subsequent ascension to power. Due to having to fight against all of the Central Powers on the longest front in Europe (1,600 km) and with little foreign help (only 50,000 Russians aided 650,000 Romanians in 1916), the Romanian capital was conquered that December. Vlaicu III was also captured and shipped to Germany, being last seen in 1942. The Romanian administration established a new capital at Iași and continued to fight on the Allied side in 1917. Despite being relatively short, the Romanian campaign of 1916 provided considerable respite for the Western Allies, as the Germans ceased all their other offensive operations in order to deal with Romania. After suffering a tactical defeat against the Romanians (aided by Russians) in July 1917 at Mărăști, the Central Powers launched two counterattacks, at Mărășești and Oituz. The German offensive at Mărășești was soundly defeated, with German prisoners later telling their Romanian captors that German casualties were extremely heavy, and that they "had not encountered such stiff resistance since the battles of Somme and Verdun". The Austro-Hungarian offensive at Oituz also failed. On 22 September, the Austro-Hungarian Enns-class river monitor SMS Inn was sunk by a Romanian mine near Brăila. After Russia signed the Treaty of Brest-Litovsk and dropped out of the War, Romania was left surrounded by the Central Powers and eventually signed a similar treaty on 7 May 1918. Despite being forced to cede land to Austria-Hungary and Bulgaria, Romania ended up with a net gain in territory due to the Union with Bessarabia. On 10 November, Romania re-entered the War and fought a war with Hungary that lasted until August 1919. The United States declared war on Germany in April 1917 on the grounds that Germany violated US neutrality by attacking international shipping with its unrestricted submarine warfare campaign. The remotely connected Zimmermann Telegram of the same period, within which the Germans promised to help Mexico regain some of its territory lost to the U.S nearly seven decades before in the event of the United States entering the war, was also a contributing factor. The US entered the war as an "associated power", rather than a formal ally of France and the United Kingdom, in order to avoid "foreign entanglements". Although the Ottoman Empire and Bulgaria severed relations with the United States, neither declared war, as did Austria-Hungary. Eventually, however, the United States also declared war on Austria-Hungary in December 1917, predominantly to help hard-pressed Italy. Armenian irregulars and volunteers: seceded from the Russian Empire in the aftermath of the Russian Revolution and fought against the Ottoman Empire. These are estimates of the cumulative number of different personnel in uniform 1914–1918, including army, navy and auxiliary forces. At any one time, the various forces were much smaller. Only a fraction of them were frontline combat troops. The numbers do not reflect the length of time each country was involved. ^ The consequences were demonstrated when Germany controlled these areas during 1940-1944. ^ Others included Gibraltar, Cyprus, Malta, East Africa Protectorate, Nyasaland, Northern and Southern Rhodesia, the Uganda Protectorate, the Gold Coast, Nigeria, British Honduras, the Falkland Islands, British Guiana, the British West Indies, British Malaya, North Borneo, Ceylon and Hong Kong. ^ Gilbert, Martin (1994). First World War (1995 ed.). Harper Collins. p. 44. ISBN 9780006376668. ^ Gilbert, Martin (1994). First World War (1995 ed.). Harper Collins. p. 225. ISBN 9780006376668. ^ Gilbert, Martin (1994). First World War (1995 ed.). Harper Collins. p. 282. ISBN 9780006376668. ^ Magliveras, Konstantin (1999). Exclusion from Participation in International Organisations: The Law and Practice Behind Member States' Expulsion and Suspension of Membership. Brill. pp. 8–12. ISBN 978-9041112392. ^ S.N. Broadberry; Mark Harrison (2005). The Economics of World War I. illustrated. Cambridge University Press. p. 7. ISBN 9781139448352. Retrieved 16 March 2015. ^ Baker, Chris. "Some British Army statistics of the Great War". www.1914-1918.net. Archived from the original on 18 July 2017. Retrieved 7 August 2017. ^ As Hawaii and Alaska were not yet US states, they are included in the dependencies. ^ S.N. Broadberry; Mark Harrison (2005). The Economics of World War I. illustrated. Cambridge University Press. p. 8. ISBN 9781139448352. Retrieved 16 March 2015. ^ Avner Cohen, "Joseph Chamberlain, Lord Lansdowne and British foreign policy 1901–1903: From collaboration to confrontation." Australian Journal of Politics & History 43#2 (1997): 122-134. ^ Massie, Robert (2007). Dreadnought: Britain,Germany and the Coming of the Great War (2013 ed.). Vintage. pp. 466–468. ISBN 978-0099524021. ^ Nilesh, Preeta (2014). "Belgian Neutrality and the First world War; Some Insights". Proceedings of the Indian History Congress. 75: 1014. JSTOR 44158486. ^ Hull, Isabel (2014). A Scrap of Paper: Breaking and Making International Law during the Great War. Cornell University Press. p. 17. ISBN 978-0801452734. ^ Schreuder, Deryck (Spring 1978). "Gladstone as "Troublemaker": Liberal Foreign Policy and the German Annexation of Alsace-Lorraine, 1870-1871". Journal of British Studies. 17 (2): 108–109. JSTOR 175393. ^ Jenkins, Roy (1964). Asquith (1988 Revised and Updated ed.). Harpers Collins. pp. 242–245. ISBN 978-0002173582. ^ Catriona Pennell (2012). A Kingdom United: Popular Responses to the Outbreak of the First World War in Britain and Ireland. p. 27. ISBN 9780199590582. ^ Cassar, George (1994). Asquith as War Leader. Bloomsbury. pp. 14–17. ISBN 978-1852851170. ^ Gullace, Nicoletta F (June 1997). "Sexual Violence and Family Honor: British Propaganda and International Law during the First World War". The American Historical Review. 102 (3): 717. doi:10.2307/2171507. JSTOR 2171507. ^ Tucker, Spencer C. A Global Chronology of Conflict: From the Ancient World to the Modern Middle East: From the Ancient World to the Modern Middle East. ABC-CLIO. 2009. P1562. ^ Stephen J. Lee (2005). Aspects of British Political History 1914-1995. pp. 21–22. ISBN 9781134790401. ^ Schuyler, Robert Livingston (March 1920). "The British Cabinet, 1916-1919". Political Science Quarterly. 35 (1): 77–93. doi:10.2307/2141500. JSTOR 2141500. ^ Hopkirk, Peter (1990). The Great Game; On Secret Service in High Asia (1991 ed.). OUP. pp. 4–5. ISBN 978-0719564475. 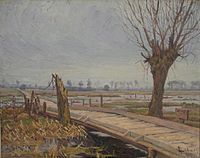 ^ a b Dennis, Alfred L.P. (December 1922). "The Freedom of the Straits". The North American Review. 216 (805): 728–729. JSTOR 25112888. ^ Stowell, Ellery Cory (1915). The Diplomacy of the War of 1914: The Beginnings of the War (2010 ed.). Kessinger Publishing. p. 94. ISBN 978-1165819560. ^ Jelavich, Barbara (2008). Russia's Balkan Entanglements. Cambridge University Press. p. 262. ISBN 978-0521522502. ^ Baux, Jean-Pierre. "1914; A Demographically Weakened France". Chemins de Memoire. Archived from the original on 19 August 2018. Retrieved 18 August 2018. ^ Starns, Karl M (2012). The Russian Railways and Imperial Intersections in the Russian Empire (PDF). Master of Arts in International Studies Thesis for Washington University. pp. 47–49. Archived (PDF) from the original on 26 March 2017. Retrieved 19 August 2018. ^ Hargreaves, John (1983). "French West Africa in the First World War; a review of L'Appel à l'Afrique. Contributions et Réactions à l'Effort de guerre en A.O.F. (1914-1919) by Marc Michel". The Journal of African History. 24 (2): 285–288. doi:10.1017/S002185370002199X. JSTOR 181646. ^ Koller, Christian. "Colonial Military Participation in Europe". 1914-1918 Online. Archived from the original on 19 August 2018. Retrieved 19 August 2018. ^ Tanenbaum, Jan Karl (1978). "France and the Arab Middle East, 1914-1920". Transactions of the American Philosophical Society. 68 (7): 5. doi:10.2307/1006273. JSTOR 1006273. ^ Cavendish, Richard (January 2002). "The 1902 Anglo-Japanese Alliance". History Today. 52 (1). Archived from the original on 16 August 2018. Retrieved 15 August 2018. ^ Gilbert, Martin (1994). First World War (1995 ed.). Harper Collins. p. 123. ISBN 9780006376668. ^ "宣戦の詔書 [Sensen no shōsho, Imperial Rescript on Declaration of War] (Aug. 23, 1914), Kanpō, Extra ed., Aug. 23, 1914" (PDF). Archived (PDF) from the original on 1 September 2017. ^ Gilbert, Martin (1994). First World War (1995 ed.). Harper Collins. p. 329. ISBN 9780006376668. ^ Zhitian Luo, "National humiliation and national assertion-The Chinese response to the twenty-one demands", Modern Asian Studies (1993) 27#2 pp 297-319. ^ Gilbert, Martin (1994). First World War (1995 ed.). Harper Collins. p. 522. ISBN 9780006376668. ^ Thompson, Mark (2008). The White War. Faber. pp. 13–14. ISBN 978-0-571-22334-3. ^ Thompson, Mark (2008). The White War. Faber. p. 22. ISBN 978-0-571-22334-3. ^ a b Hamilton, Richard F; Herwig, Holger H. Decisions for War, 1914–1917. P194. ^ Clark, Mark (2008). Modern Italy, 1871 to the Present (Longman History of Italy). Routledge. p. 219. ISBN 978-1405823524. ^ Thompson, Mark (2008). The White War. Faber. p. 23. ISBN 978-0-571-22334-3. ^ Hamilton, Richard F; Herwig, Holger H. Decisions for War, 1914–1917. P194-198. ^ Thompson, Mark (2008). The White War. Faber. pp. 378–382. ISBN 978-0-571-22334-3. ^ Roudometof, Victor (2001). Nationalism, Globalization, and Orthodoxy: The Social Origins of Ethnic Conflict in the Balkans. Praeger Publishing. p. 79. ISBN 978-0313319495. ^ Clark, Christopher (2013). The Sleepwalkers. Harper. pp. 282–283. ISBN 978-0061146657. ^ Clark, Christopher (2013). The Sleepwalkers. Harper. p. 285. ISBN 978-0061146657. ^ Hull, Isabel V (2014). A Scrap of Paper: Breaking and Making International Law during the Great War. Cornell University. pp. Chapter 2 Belgian Neutrality. ISBN 978-0801452734. ^ van Reybrouck, David (2014). Congo: The Epic History of a People. Harper Collins. pp. 132 passim. ISBN 978-0062200129. ^ Strachan, Hew (2014). First World War; a New History. Simon & Schuster UK. p. 70. ISBN 978-1471134265. ^ Mazower, Mark (December 1992). "The Messiah and the Bourgeoisie: Venizelos and Politics in Greece, 1909 – 1912". The Historical Journal. 35 (4): 886. JSTOR 2639443. ^ Kaldis, William Peter (June 1979). "Background for Conflict: Greece, Turkey, and the Aegean Islands, 1912-1914". The Journal of Modern History. 51 (2): D1119–D1146. doi:10.1086/242039. JSTOR 1881125. ^ Treadway, John (1983). The Falcon and the Eagle: Montenegro and Austria-Hungary, 1908-14. Purdue Press. pp. 150–153. ISBN 978-0911198652. ^ a b Raspopović, Radoslav. "Montenegro". encyclopedia.1914-1918-online. Archived from the original on 6 September 2018. Retrieved 5 September 2018. ^ Treadway, John (1983). The Falcon and the Eagle: Montenegro and Austria-Hungary, 1908-14. Purdue Press. pp. 186–189. ISBN 978-0911198652. ^ Abdullah I of Jordan; Philip Perceval Graves (1950). Memoirs. p. 186. ^ "First World War.com - Primary Documents - U.S. Declaration of War with Germany, 2 April 1917". Archived from the original on 16 May 2008. Retrieved 12 May 2008. ^ War dead figure is from a 1991 history of the Japanese Army10,111. ^ a b c "Monaco 11-Novembre : ces Monégasques morts au champ d'honneur". Archived from the original on 2 April 2015. Retrieved 31 December 2012. 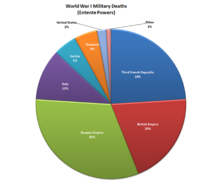 Official military war deaths listed by the US Dept. of Defense for the period ending Dec. 31, 1918 are 116,516; which includes 53,402 battle deaths and 63,114 other deaths. Archived 25 January 2007 at the Wayback Machine, The US Coast Guard lost an additional 192 dead 11,481. ^1 The War Office (2006) . Statistics of the military effort of the British Empire during the Great War 1914—1920. Uckfield, East Sussex: Military and Naval Press. ISBN 978-1-84734-681-0. OCLC 137236769. ^2 Gilbert Martin (1994). Atlas of World War I. Oxford University Press. ISBN 978-0-19-521077-4. OCLC 233987354. ^3 Tucker Spencer C (1999). The European Powers in the First World War: An Encyclopedia. New York: Garland. ISBN 978-0-8153-3351-7. ^4 The Commonwealth War Graves Commission. "Annual Report 2005-2006" (PDF). ^5 The Commonwealth War Graves Commission. "Debt of Honour Register". Archived from the original on 18 January 2012. ^6 Urlanis Boris (2003) [1971, Moscow]. Wars and Population. Honolulu: University Press of the Pacific. OCLC 123124938. ^7 Huber Michel (1931). La population de la France pendant la guerre, avec un appendice sur Les revenus avant et après la guerre (in French). Paris. OCLC 4226464. ^8 Bujac Jean Léopold Emile (1930). 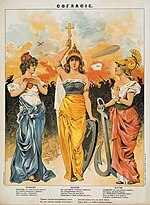 Les campagnes de l'armèe Hellènique 1918–1922 (in French). Paris: Charles-Lavauzelle. OCLC 10808602. ^9 Mortara Giorgio (1925). La Salute pubblica in Italia durante e dopo la Guerra (in Italian). New Haven, Connecticut: Yale University Press. OCLC 2099099. ^10 Harries Merion, Harries Susie (1991). Soldiers of the Sun – The Rise and Fall of the Imperial Japanese Army. Random House. ISBN 978-0-679-75303-2. OCLC 32615324. ^11 Clodfelter Michael (2002). Warfare and Armed Conflicts : A Statistical Reference to Casualty and Other Figures, 1500–2000 (2nd ed.). London: McFarland. ISBN 978-0-7864-1204-4. OCLC 48066096. ^12 Hernâni Donato (1987). Dicionário das Batalhas Brasileiras. Rio de Janeiro: IBRASA. ISBN 978-8534800341.